Cameras, mobiles, HDD, CD, laser reading heads, car-carried sound equipment, small VTR, UPS navigators, small computers, TFT panels, NB notebook PC, video game machines, facsimile sets, TV sets, photo printers, telescopic antenna, communication equipment, video recorders, car lamp and lighting fixtures etc. 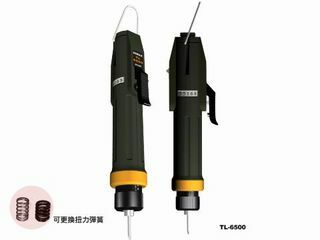 The torque can be effectively set between 2.0 Kgf-cm~20.0 Kgf-cm with replaceable spring and stable torque is realized in screw fastening operations with big torque. Developed with emphasize placed on small size and light body. Designed for ergonomics principles and easy to operate. Wide tightening torque range and convenient torque adjustment. 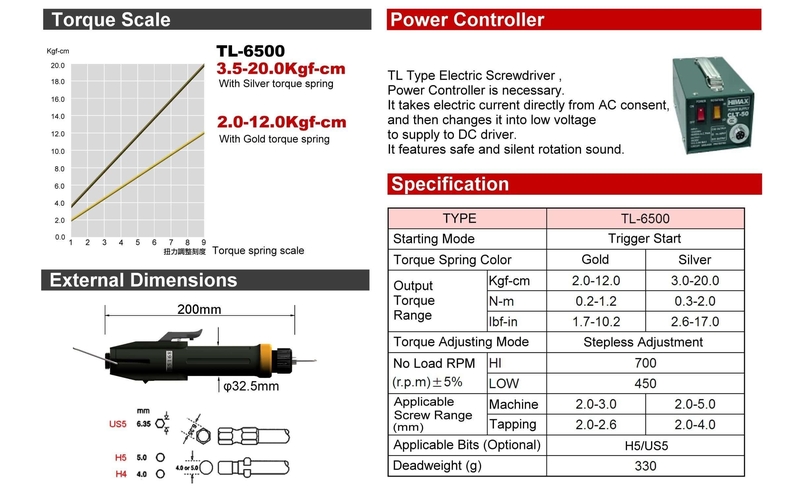 Safe low voltage direct current method. High quality motor keep low temperature for successive using. Double-insulation construction for extra protection. External replaceable carbon brush, easy to maintain. Easily convertible to suction type.